In honor of National Anti-Bullying Awareness month and Teen Reading Week, which was celebrated last week, we’re talking about Speechless by Hannah Harrington, a young adult novel about bulling. This tour, hosted by Kismet Book Tours, is also in partnership with Love is Louder. This isn’t your typical book tour. 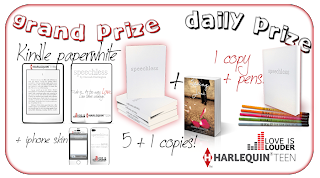 You won’t find a Q&A or guest post by Hannah Harrington. Instead, you get a moment of honesty from the resident nerdfighter (aka me). My Speechless Moment isn’t nearly as serious as Chelsea Knot’s. It didn’t cause any physical harm to anyone nor did it involve any fierce bullying. It’s simply a defining moment for me: a girl who couldn’t keep her mouth shut. I’ve always been very talkative. My parents don’t know my official first word because I used to “talk” incessantly in a language that was all my own, and somehow I went from that to speaking in full sentences seamlessly (though they claim my first understandable sentence was, “Omigosh! ET!”). In addition to my chatterbox ways, I’ve also always been a terrible secret-keeper. As soon as I hear the words, “You can’t tell anyone this but…” I immediately feel the need to tell anyone what I’ve just been told. I just assumed it was part of my nature and did nothing to quell that urge. Flash forward to my freshman year of high school. I’m at an early morning marching band rehearsal, and my friend who marches next to me (let’s call him Boy) tells me a teeny secret: he has a crush on another band member (we’ll call her Girl). Boy asks that I not tell anyone about the not-even-fully-fledged feelings he has for Girl, and I nod. Of course, we step onto the practice field, and a friend who marches on my other side (I call her Red) asks what Boy told me. Without any hesitation, I immediately spill Boy’s secret. She gasps and giggles, which draws the attention of the person marching on Red’s other side. I think you might see where this is going. By the end of our first song, the entire marching band knows of Boy’s crush on Girl, thanks to a wickedly fast game of Telephone and my big mouth. There was no epic fallout for Girl and Boy from the moment. Girl told Boy, very nicely, that she was flattered but she didn’t return the feelings. As I said earlier, his feelings weren’t overwhelming, and he was able to move on quickly enough. They may have been embarrassed, but they didn’t hold a grudge, as I’m still on friendly terms with both of them. What did happen after this, though, was that everyone became extra wary of me. I was well-known in my social circles for years as the Worst Secret-Keeper This Side of the County, and my own friends didn’t feel that they could fully trust me. Which pretty much sucked. I learned a valuable lesson that day, one that I carry with me still. You never know the power your words can hold, even the seemingly harmless ones, until you see them in action. I consider myself lucky that this didn’t explode into something more hurtful, like what Chelsea deals with in Speechless. I’m grateful I didn’t lose those friendships due to my silly need to blab everything. I learned the value of knowing which secrets should be kept and which shouldn’t. It took a few years and more than a few closed-mouth incidents, but I’ve shed my blabbermouth persona for a more trustful one. Anyone can now feel free to share your secrets with me, because with me is definitely where they’ll stay. Everyone knows that Chelsea Knot can't keep a secret -- Until now. Because the last secret she shared turned her into a social outcast—and nearly got someone killed. Hannah Harrington resides in Michigan with one dog and too many cats. When she isn’t busy writing like a crazy person, she enjoys arguing about politics, watching documentaries, playing guitar (very badly) and speaking about herself in the third person. 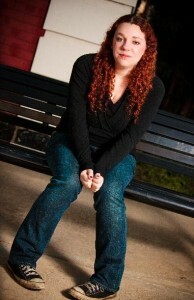 She released her debut novel Saving June in December 2011 and wowed readers with its intense subject of teen suicide. 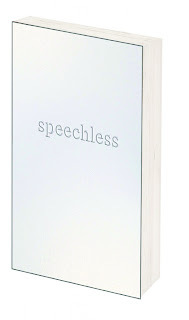 Her latest novel, Speechless (September 2012), explores the topic of bullying. Wednesday, October 24th - The O.W.L. I thoroughly enjoyed Speechless & I think the Love is Louder campaign has a really great message. It's always nice to see something positive online. I think I sometimes have to take a vow of silence too...my mouth always gets me in trouble. THis was a great post. 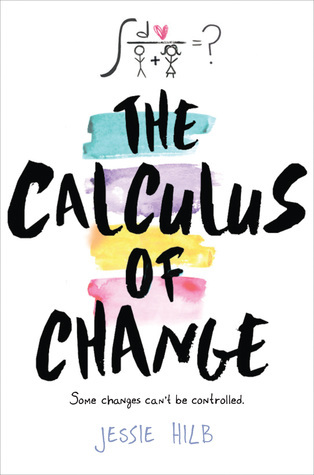 THis book sounds good but sad...hopefully it has a happy ending?